Rooms „Belilo 69“ are 1,5 km from downtown of Sremski Karlovci, on the road for Strazilovo. We have 53 beds. Each room has mini bar, cable TV, Internet connection and air conditioning. Apart Hotel & Spa Zoned offers peaceful surroundings at the entrance to the Kopaonik National Park and Kopaonik Ski Resort. Opened in 2011, the hotel features a spa and wellness area, 2 restaurants and offers unique architecture and interior design with futuristic décor. Located in Donji Milanovac, this air-conditioned apartment features a terrace with lake views. Guests benefit from balcony. Free WiFi is offered . Apartments "Vlasinski Vrtovi" are located at about 50 meters from the Vlasinsko lake. Vila consists of 5 modern apartments. Each has a separate entrance, kitchen with cutlery, dining room, living room ( Tv, Dvd, WiFi), separate bedrooms and bathroom. In the backyard there is a summerhouse for sitting and outdoor cooking with a grill, brick oven, spit and cauldron. Apartments "Vlasinski Vrtovi" have their own parking. Located in Brzeće, Apartments Foka Spa offers an indoor swimming pool, a spa and a wellness centre as well as self-catering accommodation with free WiFi access. Kopaonik Ski Resort, as well as the Kopaonik National Park, are 16 km away. Apartments Milsa Lux is located in Soko Banja , 36 km from Nis. Guests can enjoy the on-site restaurant. Apartments Milsa Lux also includes an outdoor pool. Located 600 metres from the centre of Vrnjacka Banja, Apartments Raj offers a Wellness Centre on site. All accommodation units offer a balcony and free Wi-Fi. Free parking is provided.There is also a big garden with a fountain and a seating area. The property is located in the centre of the Atomic Spa Resort in Gornja Trepča, at the foot of Vujan Mountain. A hiking trail leads from the hotel into the forest surrounding Vujan Guest Accommodation. BG City Hotel is placed in a central location in Belgrade, housed in a Neo-Renaissance building opposite the Main Railway and Bus Station. Placed in Zlatibor, Cottages Zakos offers accommodation in heated cottages with a TV set, a seating area with a sofa and a kitchen. The cottages of the Zakos have wooden interiors and a simple décor. Their kitchens include a dining area, refrigerator, electric kettle and kitchenware. Free private parking is available on-site. 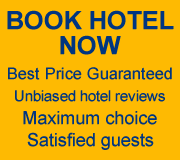 Hotel Mr. President is situated in the heart of the city offering free airport transfer, free wireless internet access and worldwide free phone calls. You can enjoy presidential treatment at the Design Hotel Mr. President.